This is a sponsored conversation written by me on behalf of Boursin. The opinions and text are all mine. 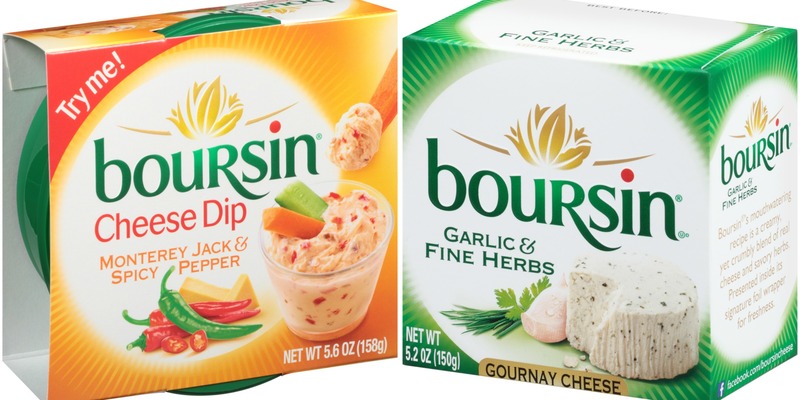 My family has been a longtime fan of Boursin® Cheese, so I was absolutely thrilled when they asked me to share a couple of our favorite recipes using their Boursin® Garlic & Fine Herbs Cheese & Boursin® Monterey Jack and Spicy Pepper Cheese Dip. 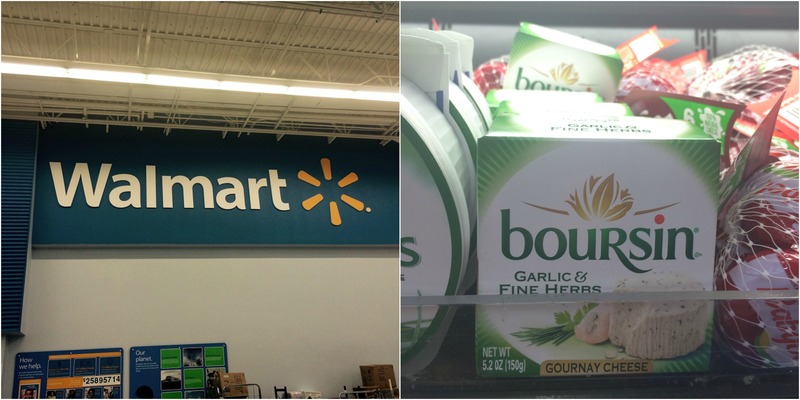 I am so glad that our local Walmart carries Boursin® Cheese! You can find it in the cheese bunker near the deli. (For more than a dollar less than at other stores…fyi, so if your local Walmart doesn’t carry it, ask them to order it!) 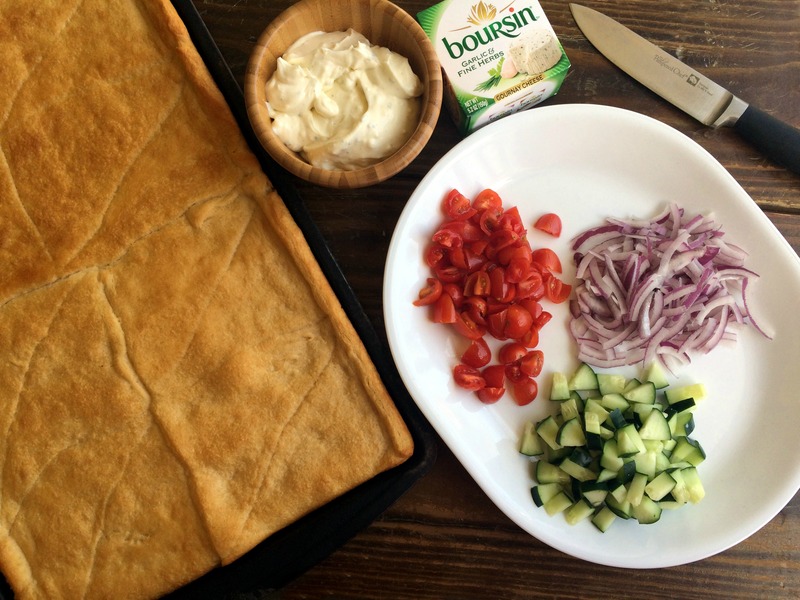 I love that Boursin® makes an easy recipe taste gourmet! 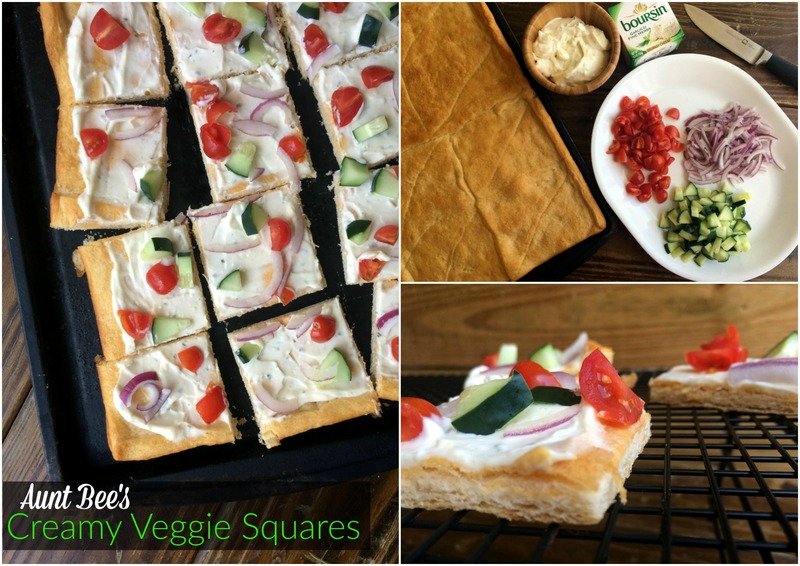 The 2 recipes I am sharing with you all today are my favorites for bringing to a Spring party! 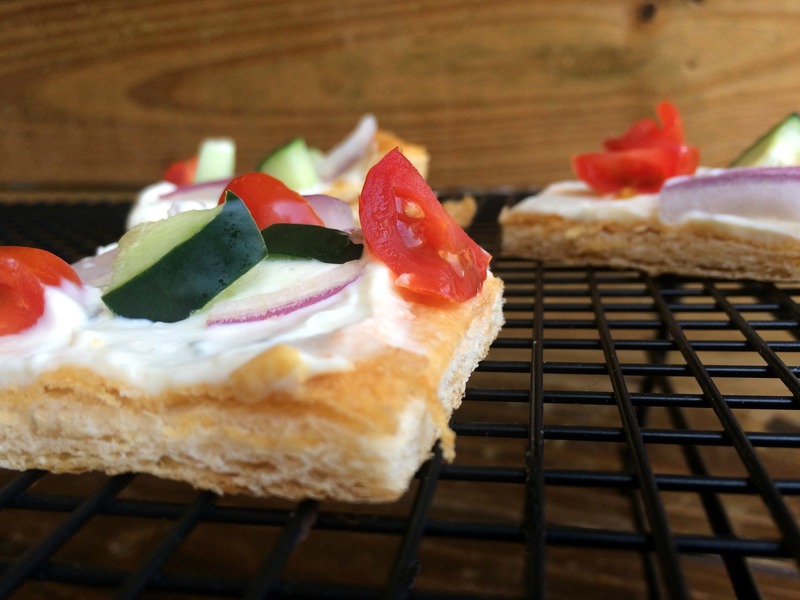 One is an appetizer and the other is a super fun and popular side dish! Spray cookie sheet with cooking spray. Unroll both tubes of crescent roll dough and press into the bottom of the cookie sheet. Bake for 13-17 minutes or until golden brown. Allow to cool completely. Meanwhile, combing the Boursin® cheese & mayonnaise. Once the crust is completely cooled, spread the cheese mixture evenly over the crust. Sprinkle with veggies and refrigerate for at least 2 hours prior to cutting and serving. Enjoy! 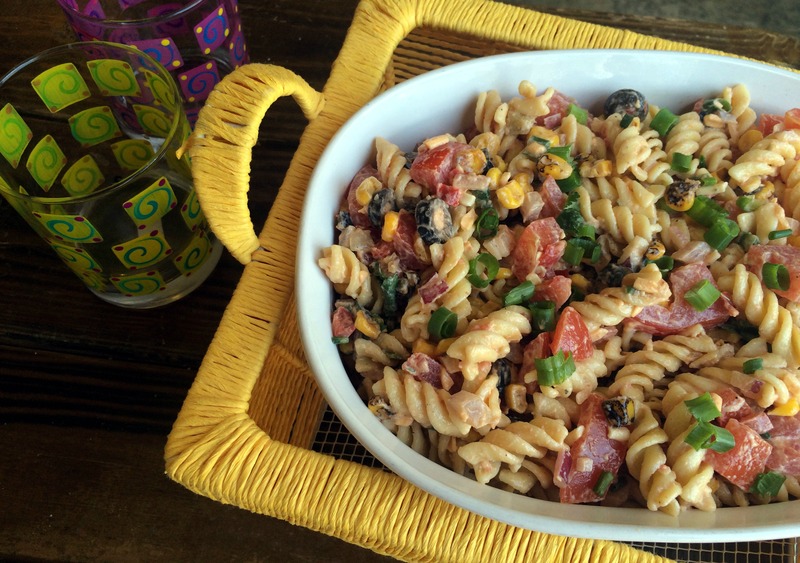 Add salad ingredients to a large bowl and set aside. Combine Monterey Jack & Spicy Pepper Cheese Dip, mayo, salsa & lime juice in a medium size bowl. Toss with salad ingredients and chill until ready to serve. Garnish with green onions and cheddar cheese if desired and enjoy! You can visit boursinpartytricks.com for lots of other delicious recipe ideas! You can have a chance to win a 50 dollar Walmart Gift card! All you have to do is go by Walmart and pick up some Boursin® cheese and share your favorite recipe by March 27th on instagram! Tag #BoursinParty and #AuntBeesRecipes to enter! Winner will be chosen April 3rd! Good luck!